Terming the current economic situation as "extremely difficult", President Pranab Mukherjee expressed the government's commitment to put India back on high growth path, while containing inflation and making tax regime non-adversarial. 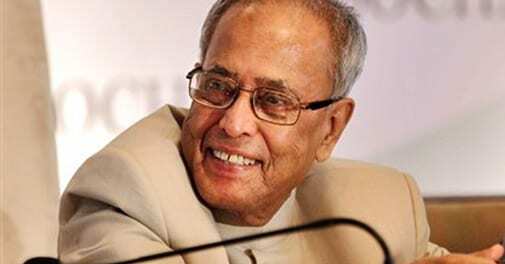 Terming the current economic situation as "extremely difficult", President Pranab Mukherjee on Monday expressed the government's commitment to put India back on high growth path, while containing inflation and making tax regime non-adversarial. "...putting the Indian economy back on track is paramount for my government. We will work together to usher our economy into high growth path, rein in inflation, reignite the investment cycle, accelerate job creation and restore the confidence of domestic as well as international community in our economy," he said. The President in his address to the joint sitting of Parliament unveiled the policies and priorities of the BJP - led NDA government which assumed power last month after elections to the 16th Lok Sabha. The economy, Mukherjee said is "passing through an extremely difficult phase. For the two consecutive years, our GDP growth has been less than 5 per cent. Tax collection has declined. Inflation continues to be an at unacceptable level". Referring to the high food inflation, he said the new government will give "top most priority" to contain it. The government, he added, will take effective steps to prevent hoarding and black marketing and reform the public distribution system, incorporating best practices from the states. The President further said the government is alert about the possibility of a subnormal monsoon this year and is in the process of preparing contingency plan to deal with the situation.